Neutral liquid product formulated with essential oils solvents and emulsifiers. 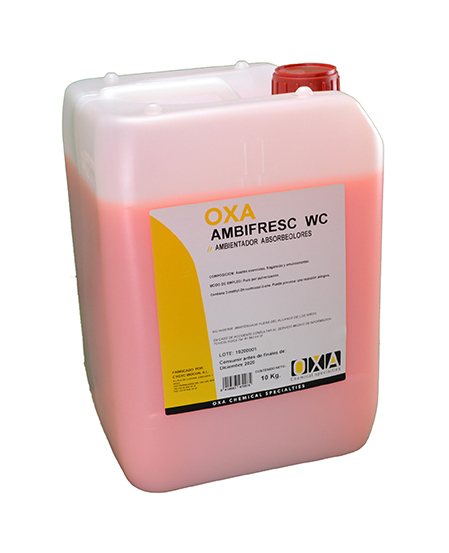 OXA - AMBIFRESC WC is a very stable product with aromatic effect. Its main feature is its sanitizing effect that makes preserve the atmosphere fresh and odor. Essential oils make it easily adheres to the surfaces, the aroma developing slowly. Purification and setting of areas such as bathrooms, toilets, urinals, locker rooms, gyms institutional and domestic servants, etc.